Vase of 50 ml - Intensive treatment for intensive care of the skin very dry, marked, devitalized. Thermal Wrinkle Cream has been specifically formulated to help reduce the visible signs of skin aging and delay the appearance of new lines and wrinkles. Provides to the skin a combination of lipids and substances essential to skin tissue trophism. It acts as an adjuvant to the skin's elasticity, firming out of the heavy and relaxed contours of the face. 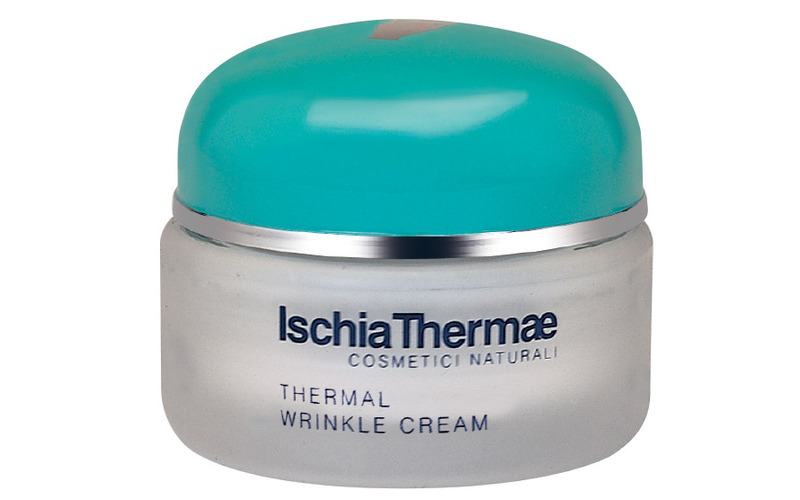 Ischia Thermae's Thermal Fragrant Cream gives the skin a brighter, fresh and youthful appearance day after day. In the evening, after detoxification and Tonic Thermal Water, apply on face and neck, avoiding eye contour. Massage with gentle and prolonged movements until full absorption. In the case of very dry or ripe skin, especially marked, apply the Cream for Thermal Fragrances over the usual Ischia Thermae Thermal Nutrition Cream in case of oily or fatty oily skin, first apply the Balancing Acid Thermal pH Cream of Skin Ischia Thermae and above, locally on wrinkles and expression marks, the Cream for Thermal wrinkles.